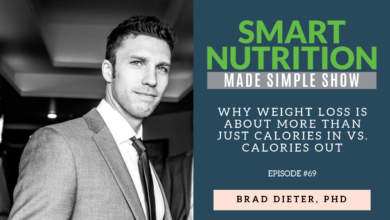 If you’re interested in losing weight or you’ve tried diet after diet without success, then this podcast with Josh Hillis will give you the nutrition skills you need to get effective results. 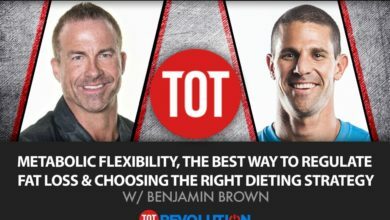 Josh began in fitness as a personal trainer and kettlebell instructor, but over the years discovered that nutrition and eating habits are the real keys to getting clients the results they want. The habits that most of America has actually makes people way hungrier than they need to be. All these skills are skills that will make you feel more full and satisfied so that you eat less calories. Josh is the Chief People Officer for One By One Nutrition, c0-author of Fat Loss Happens on Monday, an item writer for NASM CPS and PES Exams, a food habits columnist for Strength Matters Magazine and a regular speaker at Strength Matters Summit and Elite Fitness Performance Summit. 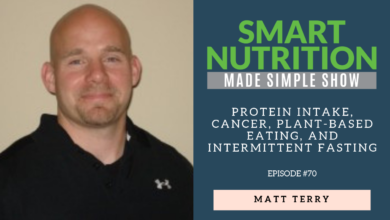 In our amazing and enlightening discussion, we talk about the idea of skills-based nutrition and how it ties in with energy and weight loss. I learned so much in this interview and I’m positive you will, too. To learn more about habit-based nutrition and weight loss, check out my interview with One By One Nutrition Chief Science Officer Georgie Fear, RD, CSSD.